I am a terribly slow writer of poems. Months and months go by and I don’t write anything at all. So, imagine my surprise to have gone on a retreat this past weekend and written four poems! Four! Two are definite keepers, and two are on the fence, but are at least good starts. That’s a miracle, for me. Encouraged, I finally worked up the courage to see how many poems I have toward a new book manuscript. I’ve avoided conducting such an inventory, for fear that the number would be discouragingly low. I found that I have 33! That’s more than halfway there. Much better than I expected. The four new poems are for my Minnesota State Arts Board grant project–the Incantation Bowls project (click for info)–and the bowls are also in production. 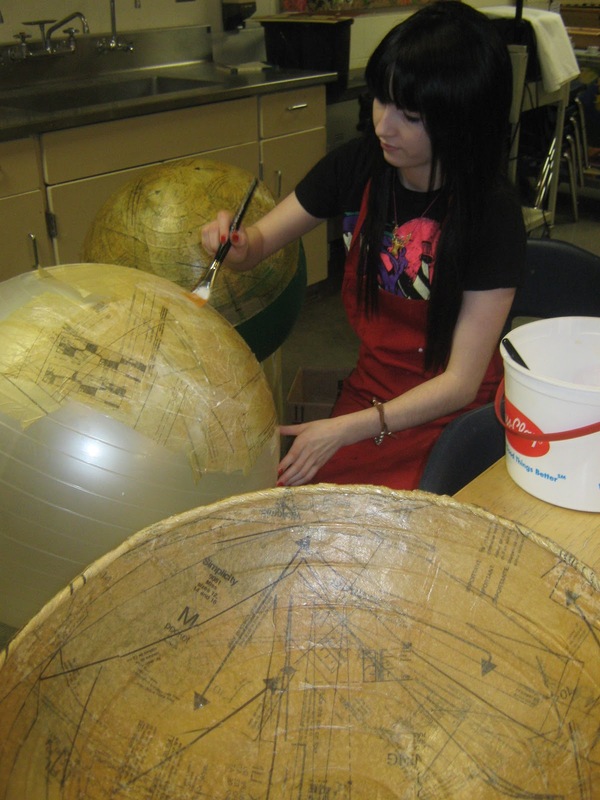 In the photo below, a student assistant to my collaborator Tiffany Besonen works on assembly. So exciting to see this thing that Tiffany I dreamed up actually beginning to exist! I love this idea. And the Water pice is wonderful!